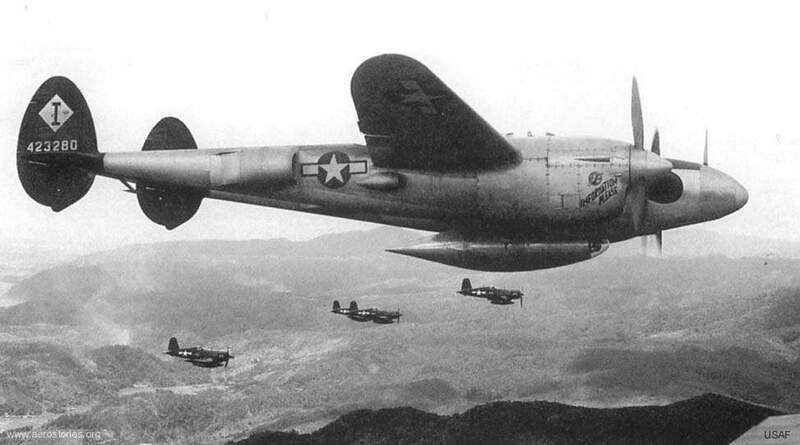 » USAAF Photo Reconnaissance F-5E Lightning ‘Information Please’ accompanying Marine F4U Corsairs on a raid to Kushi-Take, Okinawa, Japan, June 1945. Photo 2 of 2. Note the photo nacelle under the F-5. This photograph has been scaled down; full resolution photograph is available here (974 by 542 pixels). Lidice, Czechoslovakia Jun 1943. What had been a village street lined with peasant homes as it appeared a year after the destruction.